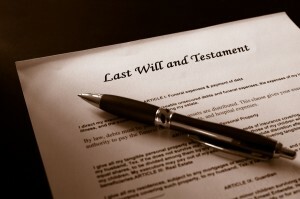 If you’re like many people, the idea of having a will feels morbid. In our culture we don’t like to talk about death, and having a will seems like an admission that we will die. Some people fear that talking about the subject is enough to tempt fate and bring on dire consequences. Logically, we know that we shouldn’t put off getting our wishes down on paper so that there’s no question about what we’d like to happen when we die or are on the edge of death. Here are two reasons you don’t want to put your will off any longer. If most of us had our way, we’d simply pass away in our sleep from old age at around the age of 85, having suffered no illness. And if we can’t have that, we at least expect a period where we’re given enough time to get our matters in order, having distributed our possessions so that the perfect person gets each one. Now for the cold reality: the above scenarios might happen, or you might be killed on the way home from work tomorrow. We don’t get to choose when we leave this world, and accidents and undiagnosed illnesses could mean that you won’t be alive next week. Why risk your wishes being ignored simply because you didn’t spend a few hours getting your will or trust taken care of? Medical care can do wonders at keeping people alive. Many times that’s a good thing, but other times it can keep someone alive past the point of their wishes. If you are incapacitated, it’s important that your will is enacted regarding long-term health care when you’re unable to express informed consent. Now is the time to make those decisions so that those decisions aren’t made for you later. Don’t avoid having your will written just because the subject is uncomfortable. 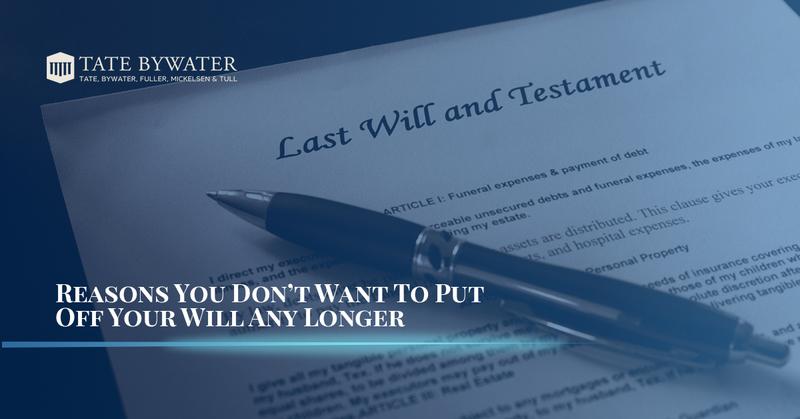 Contact TATE BYWATER and we can help ensure your will is properly written according to your wishes.